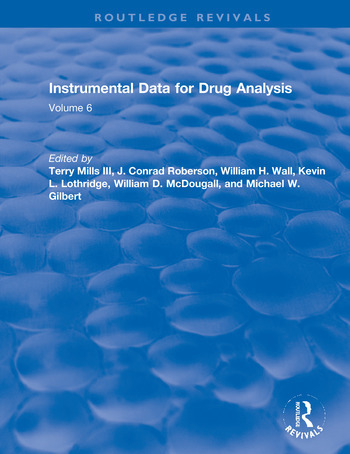 With the addition of this fifth volume, Instrumental Data for Drug Analysis, Second Edition is the definitive work on drug analysis. The complete five-volume set contains over 6,000 spectra on 1,600 drugs and related compounds, incorporating numerous chromatographic and spectrometric instruments, and includes a total of 13 appendices. Professionals working in forensic, crime, clinical, and toxicological laboratories will find this volume to be an invaluable reference that they will rely on daily. Among volume five's features are: monographs for each compound - including chemical titles, molecular formula and weights, and mass spectra data on over 250 drug derivatives.